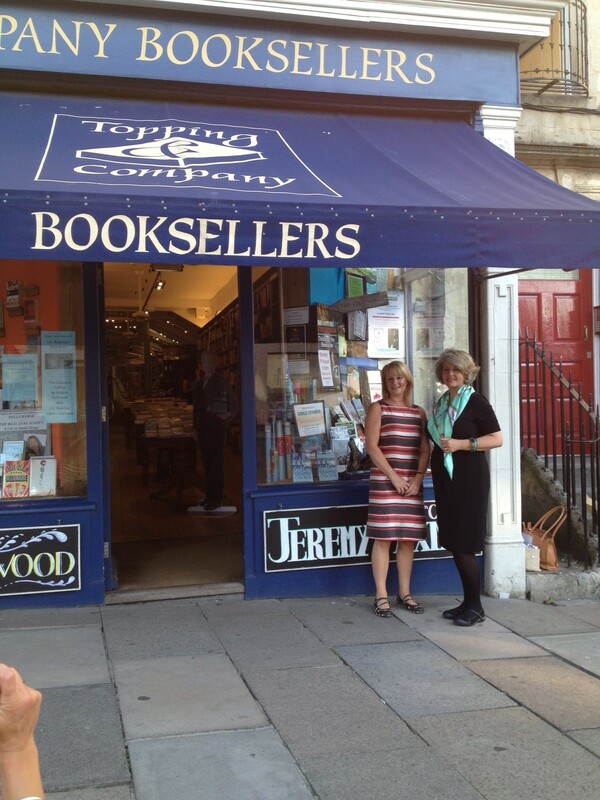 My publisher Helen Hart of SilverWood Books and I will be holding an event at Topping Booksellers, Bath (where Girl Cop is set) on Thursday 1st August. 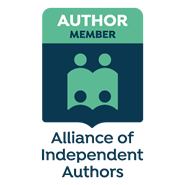 Come and hear all you need to know about getting your book into print! Welcome to the first news update inputted myself – how brave is that? Thanks to Debbie Young for setting up my fab website! 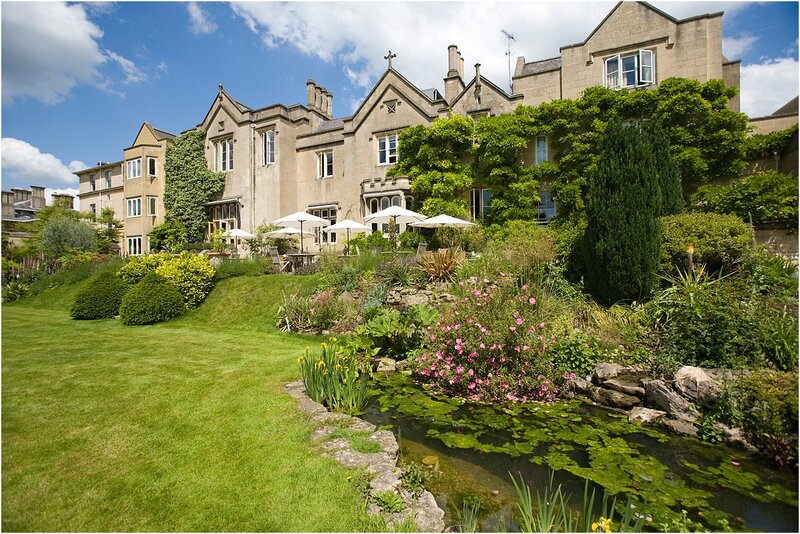 Well, my Author Talk at The Bath Priory on Thursday 28th February 2013 was really well received. A friendly gathering of 40+ ladies and one man (yes, I did give him some stick!) who laughed in all the right places! My talk was an elongated 45 minute version of my speech from my launch with a bit more information about how one goes about getting a book into print plus a few excerpts of my writing. 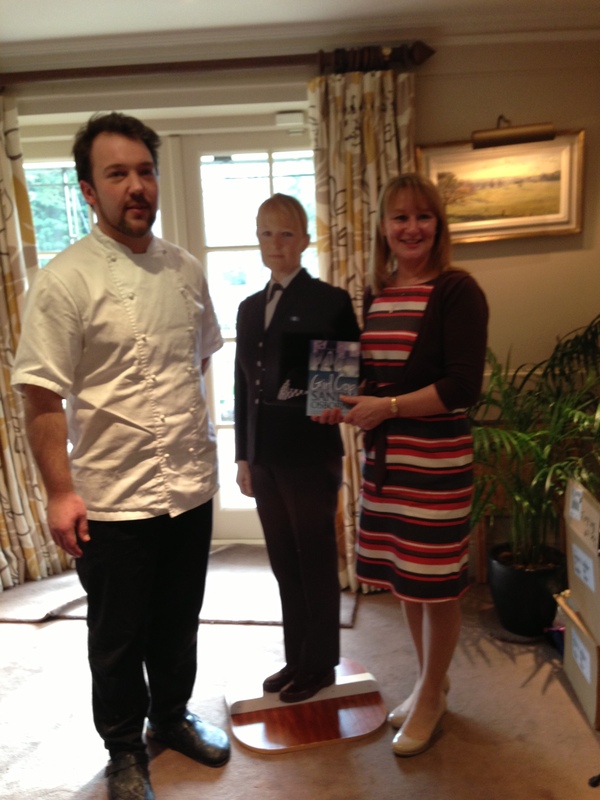 I then enjoyed a delicious lunch before signing a few books and then dragging chef Sam Moody out of the kitchen to pose for a photo. To top it all, I took a booking for another talk whilst I was there with a second to be confirmed. On that note, if any of you belong to or have any contacts with groups who would be interested in my author talk, please let me know. Sandy poses with Executive Chef Sam Moody. 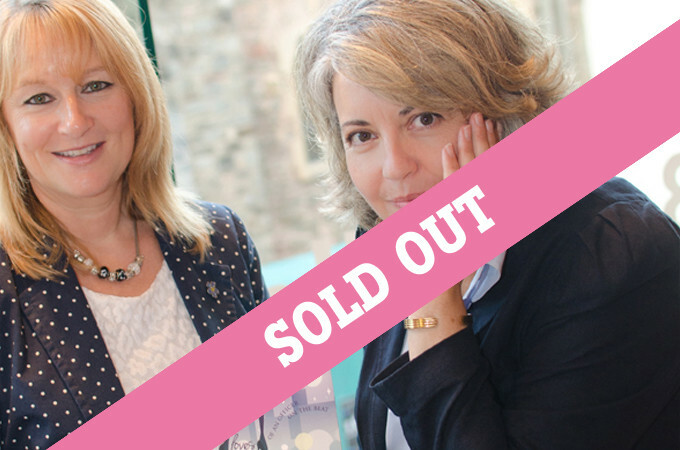 The Bath Priory, which features in the novel Girl Cop, has booked author Sandy Osborne to give a talk to its Ladies’ Lunch Club on Thursday 28th February. The price of £35 per head includes coffee on arrival and a two-course lunch followed by coffee and petit fours. To reserve your place, please call 01225 331922 or visit the hotel’s website.